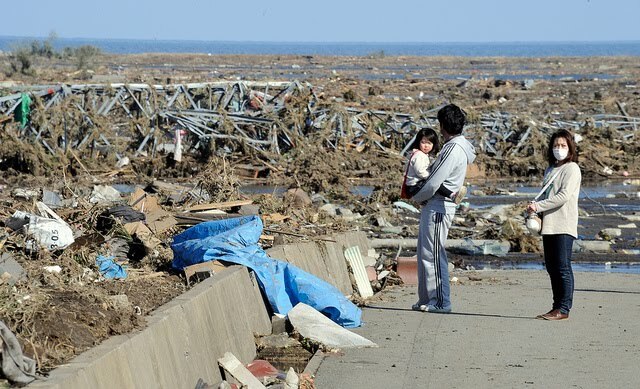 The tragic earthquake and tsunami that struck Japan on March 11 was a shocking event. The scope and scale of the devastation is difficult to believe. All of us at Densho express our deep sorrow for those who lost their lives, and are keeping the Japanese people in our thoughts as they begin to cope with what will be a long and difficult period of recovery. Those of us on the staff have many friends and some family members living in Japan. Fortunately, we have been able to contact most of them and everyone is safe thus far. We were particularly happy to hear that our special events manager and finance specialist Naoko Magasis's mother, who is older and lives alone, was unhurt and is doing well. We also ask those of you who live in Washington State or other areas along the west coast of the Americas to take this opportunity to prepare for seismic events like this one. You can start by visiting the Federal Emergency Management Agency's website Ready.gov, or your local emergency preparedness authority.